Our Life Enrichment Memory Care apartments are sized to promote comfort and familiarity while minimizing confusion. Each room has its own bathroom and shower, plus a Link to Life emergency alert system. 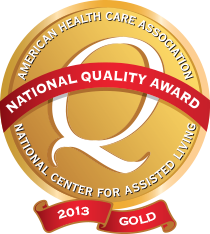 We offer single and double memory care rooms; double rooms include two separate bathrooms. By offering both traditional assisted living and life enrichment memory care within our community, Linda Manor Assisted Living gives residents an opportunity to remain close to loved ones with different care needs. 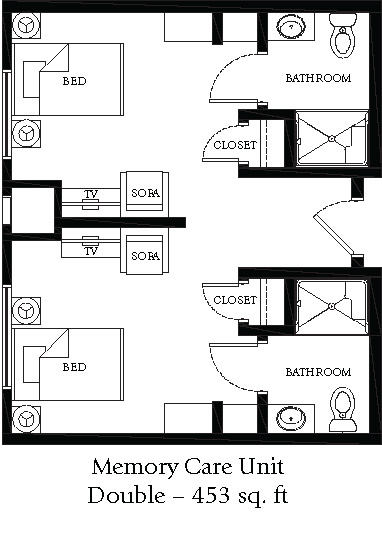 See our Assisted Living Apartment Floor Plans. Contact us today to learn more about our available Life Enrichment Memory Care monthly rental apartments.